On this Student Spotlight during USC Dornsife Week: Not all activism happens in the streets. 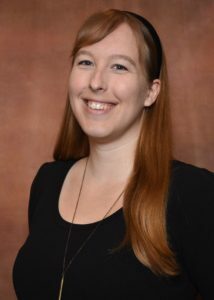 Megan Carroll is a PhD Candidate in sociology at the USC Dornsife College of Letters, Art and Sciences, specializing in gender, sexuality, family, and social movements. Her research projects range from a statistical study of wage discrimination experienced by immigrant mothers and women of color, to a community-engaged research study of asexual patients’ interactions with health care professionals. Her dissertation research argues that gendered and racialized social processes grant disproportionate visibility to some LGBTQ families over others, creating inequalities within the gay fatherhood community. For most people, the word “activism” conjures images of people marching in the streets, holding signs, and shouting demands. But for gay fathers, my research shows how activism can take the form of everyday routine behaviors. Since 2010, I have studied gay fathers in California, Texas, and Utah. Through my research, I’ve learned it’s common for gay dads to be subjected to comments about their gender, questions about their families, and assumptions that their children have mothers. For example, many dads told me they’re frequently asked if it’s “mom’s day off” when they’re alone with their children. One of the most popular replies was something like “every day is mom’s day off in our house.” Other dads would simply explain that they’re gay. So rather than try to blend in, I found that gay fathers embraced these interactions with strangers as opportunities to educate people and to help their children feel more secure about their family. Men also told me that when they’re with their partner and child, people instantly perceive the couple’s sexual orientation. So dads are keenly aware that their interactions with strangers and everyday actions like boarding an airplane, shopping for groceries and eating in a restaurant, have the potential to influence the political viewpoints of the public. I’ve dubbed gay dads as “incidental activists” because they frequently acknowledge they’re gay to strangers who ask questions about mom and because they accept their everyday actions can influence people who perceive them to be gay, with political consequences that are incidental. Through incidental activism, gay fathers are asserting their presence and reminding strangers that families exist in many different forms. Their actions are a reminder to all of us that there are many ways to make a political impact.